Vinification & Aging: According to the traditional method, the grapes are spread on straw mats and left to dry at least 60 days in a special room under the roof. The juice is fermented in small oak barrels (caratelli), where it will be kept for at least 3 years. The wine is suitable for very long-term ageing. 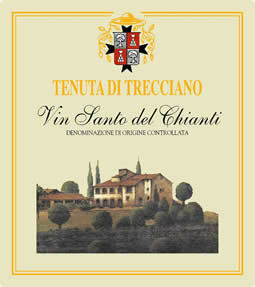 Description: An amber-yellow colored wine with an intense ethereal and fragrant perfume, with traces of almond. Moderately sweet, full flavor with aroma of raisins. Food Pairing: Excellent dessert wine, very good with dry cakes or biscuits.